« The global upheaval caused by the protest movements around 1968 revolutionised social structures, overturned cultural conventions, challenged political ideologies, and catalysed civil rights activism by women, gay people and ethnic minorities. Childhood historians stress the importance of this period in altering the authority structures that shaped children’s lives. However, many of the fields within childhood studies driving these changes – children’s media and culture, children’s heritage and art education – remain pushed to the margins within historical master narratives of 1968. These disciplines have had little chance to reflect on their own development, to draw the connections stemming from their shared heritage in 1968, or to trace the historical legacies that have shaped the assumptions underpinning them. 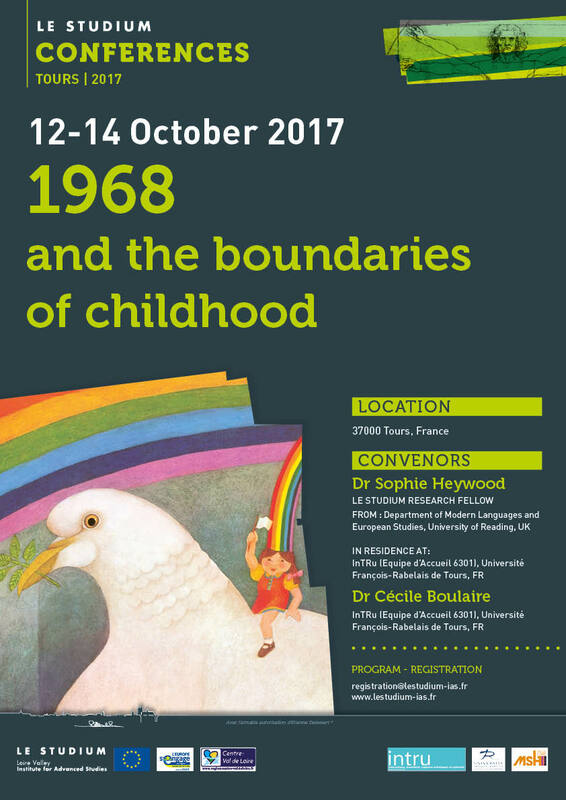 The project’s first conference focuses on experimental ideas of children and culture for children, children’s rights, participation and access to culture in the ’68 years. 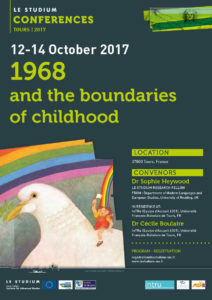 The aim is to generate dialogue between specialists from cognate fields within childhood studies (including children’s history and media, children’s culture, heritage and art education), historians of ’68, and contemporary practitioners involved in working with children and culture (publishers, artists, children’s librarians etc). It will be held at the University of Tours, France, Thursday 12th to Saturday 14th October 2017. This will coincide with an exhibition of non-sexist children’s books and media from the 1970s from Europe and the US, organised in collaboration with the artists Kim Dhillon and Andrea Francke of Invisible Spaces of Parenthood. By thinking about children’s culture as a site for artistic and intellectual experimentation, at the centre of ideological activity across disciplinary boundaries and national borders, we aim to open up new ways of understanding the ‘68 liberation movements and their legacies. With the fiftieth anniversary of ‘68 approaching, it is important that the children’s perspective is finally brought to the fore of scholarly debate and public commemorations. Peut-on critiquer la littérature pour enfants?